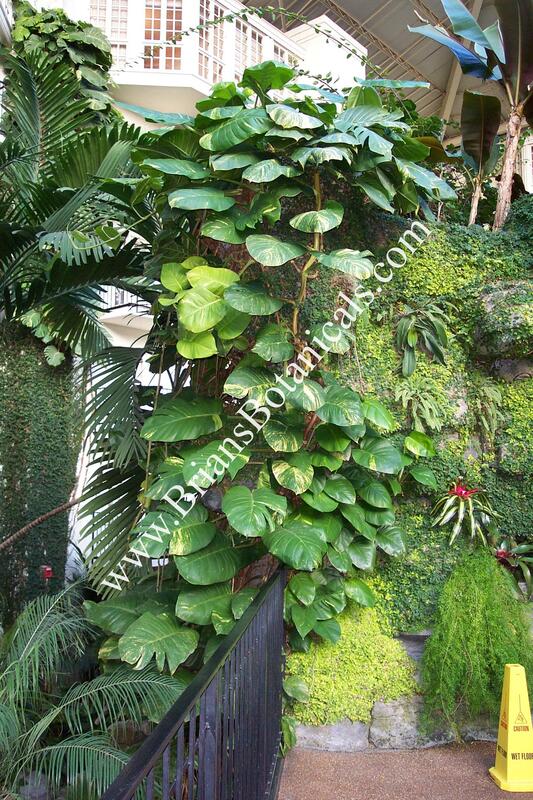 Epipremnum aureum variegata also known as Golden Pothos is a common house plant and fairly common on the market. A vine often sold in hanging pots with green heart shaped leaves with yellow variegated markings. If the plant is allowed to climb it can produce much larger mature leaves that grow over 3 feet and have holes and cuts in the foliage similar to a Monstera species. It is believed that this variegated form is natural and was discovered on a island this way. It rarely if ever flowers. I have been told that the plant much grow up high into a tree and as the vines hang back down 20 feet or so out of the tree they will flower high up. Botanist are still interested in seeing the flower for a positive ID to the plant. The plants offered here are 1 foot vine cuttings shipped in peat moss.